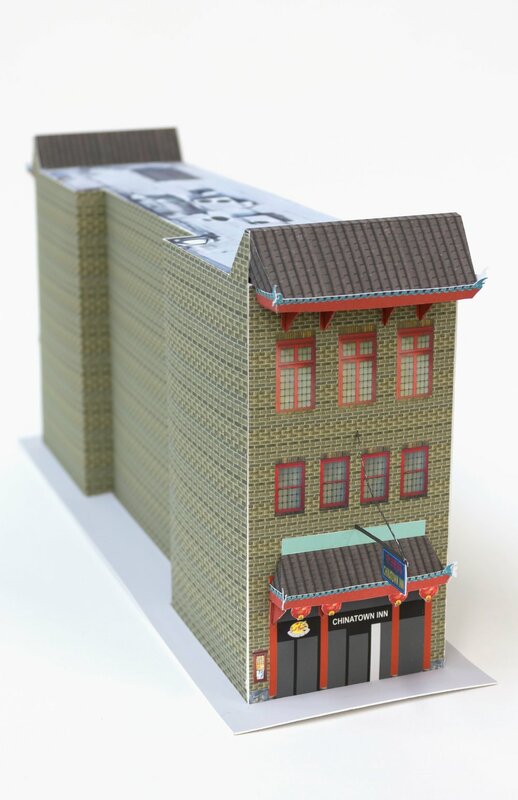 This is a DIY paper craft model of 520 Third Ave, the only remaining building with a physical trace of this city’s historic Chinatown. Pittsburgh’s Chinatown formed in the late 1800’s, a small part of the large migration of people traveling west during the Gold Rush. At its height in the 1920s, some 500 residents and 25 businesses called Second and Third Avenues between Ross and Grant Street their home. Chinatown’s decline is due in part because the construction of the boulevard of the Allies that bisected the neighborhood. Download and build your own here. You can download and fold your own paper mushroom, a celebration of one of Pennsylvania's largest agricultural crops. Make extra to share! Created for the 2017 CSA PGH Share. Visit csapgh.com for more information and to see the completed edition. A sculpture for not networking. Download the PDF, cut, fold, leave around studio spaces where you are engaging in other de-funct technological activities and/or questionably "productive" work. Stay in touch by emailing me (iminyeh@gmail.com) a photo for the archive. This project is a part of GHOST, a new project by Printeresting. GHOST is a series of collaborative projects that will take place not just online, but in the real world with thematic guideposts that include: trace, echo, residue, evidence, artifact, history, nostalgia, witness, memory, invisibility, vanishing, mystery, death, memento mori, afterlife, etc. Download the PDF, cut, fold and build the peel, leave around the town.